Art Muse Dog has the right idea. I remember shadows. Some day I hope to see them again. Hopefully tomorrow sun will arrive and melt the ice. Yes, music... even the blues... can lift gray spirits! The bench needs some makeover. Hopping by from Mandarin Orange Monday. She Boss arrives again...so happy to see her!!! Never grow tired of seeing our furry friend. you are in the throws of winter and we are experiencing a wild summer in Australia. we like the shadows and the simplicity of your image. 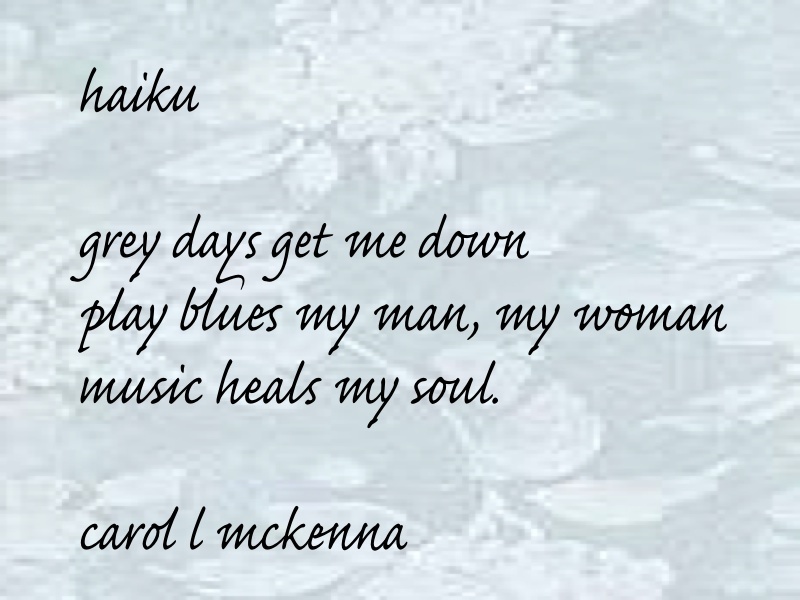 Nice haiku on blues, a strong feeling overwhelms me as I read this one again. Blues, the music of the soul ... really my kind of music. Thank you Carol for sharing on Carpe Diem. The set of photos in first pic looks great! The doggie looks so cute! Little cute doggie face, lol. I never get over what a doll your little dog is, such a cutie! Rainy days make everything look so different. It has been warm and rainy here for days and everyone says how much they miss the sunshine. Love your pictures and Haiku. Interesting post. Happy Blue Monday, Carol. Music in the jungle heals my soul. Hugs to you, love the quote, music does heal and the sunshine, lovely post! Thank you for you sunshine! you are so right, Carol, music does lift the spirit, even if it's the 'blues'! LOL on 'remember the sun' pic! Love your haiku. Has the right melancholy in it. 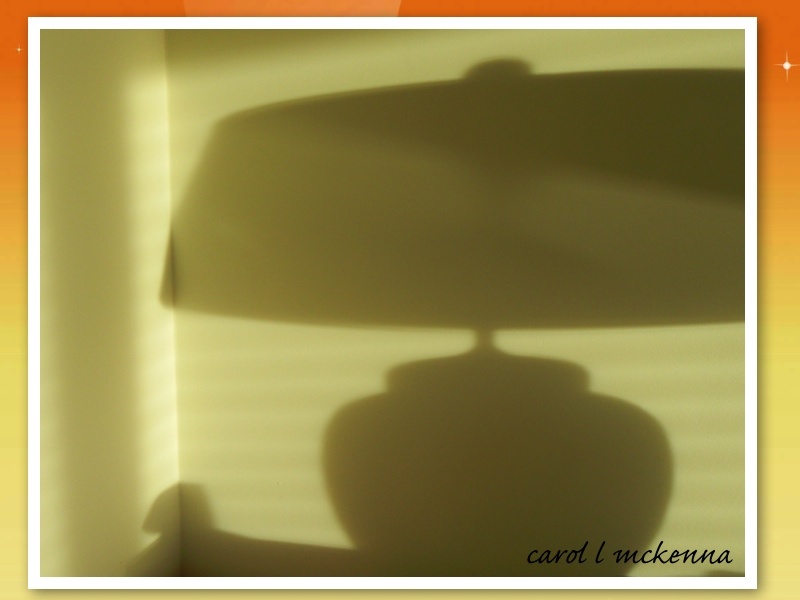 Love the shadow photo very much and the haiku is reflective of your photos. 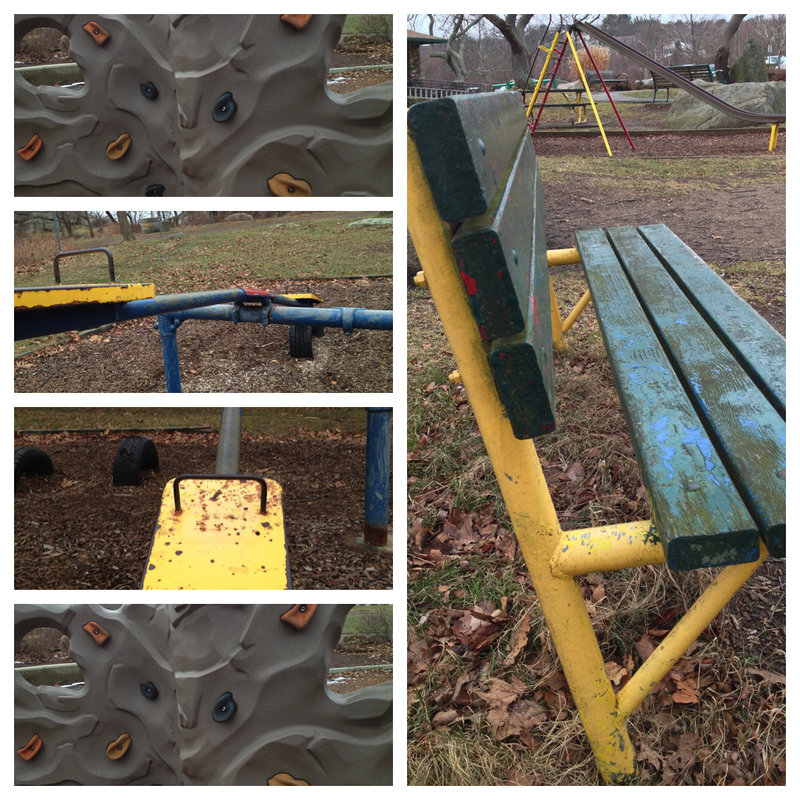 I hope that bench gets a fresh coat of blue paint! 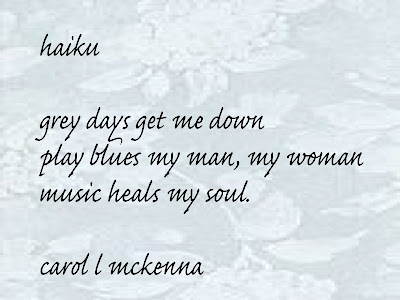 Love your winter blues haiku! Nice capture of the shadow, reminding us of sunshine. Have a creative week. Interesting perspectives in the first photo! Great mix of blues and yellows! 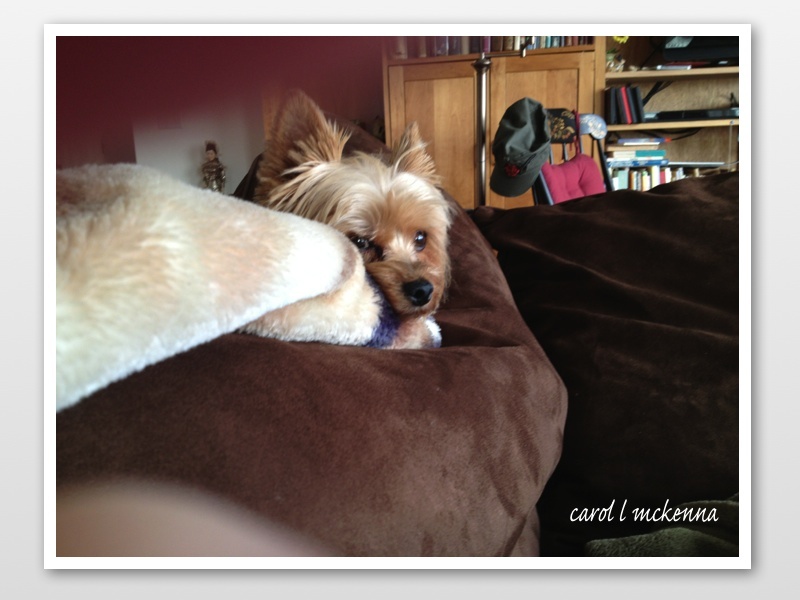 And so love those peeking eyes of your little dog! Thanks so much for linking up to my Monday Mellow Yellows meme! Can you believe that? It's Friday now and I am just getting around with Blue Monday entries. Kids are sick and all.. sigh.